Text on Back: Old Swedish Log Cabin. Built by S. M. Swenson in 1838. 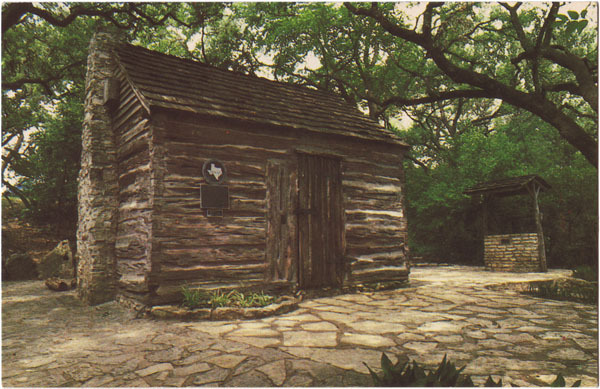 The Cabin is now located at Zilker Park in Austin, Texas.